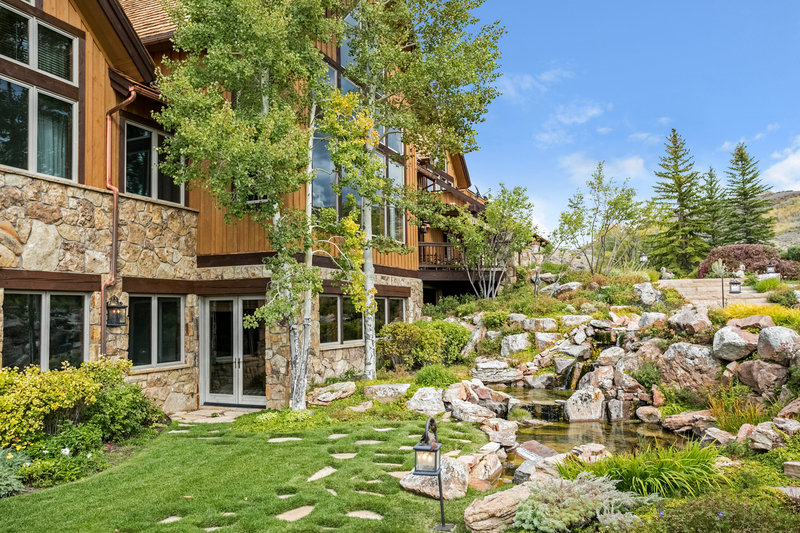 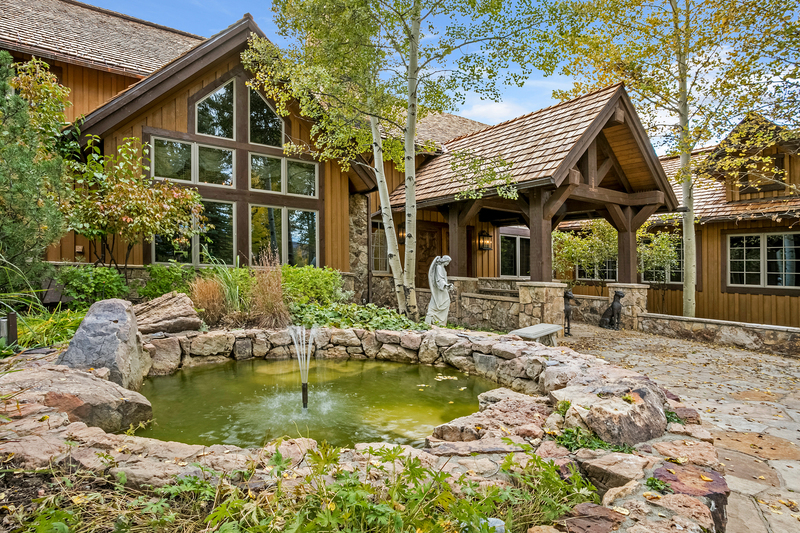 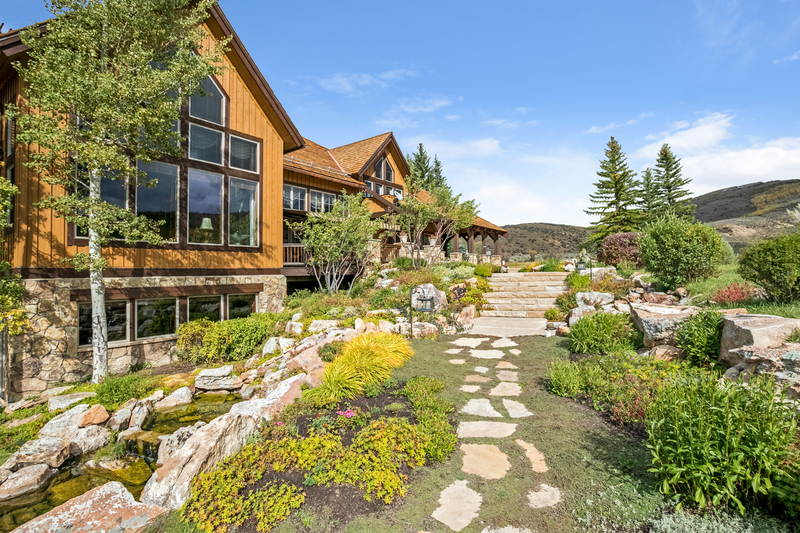 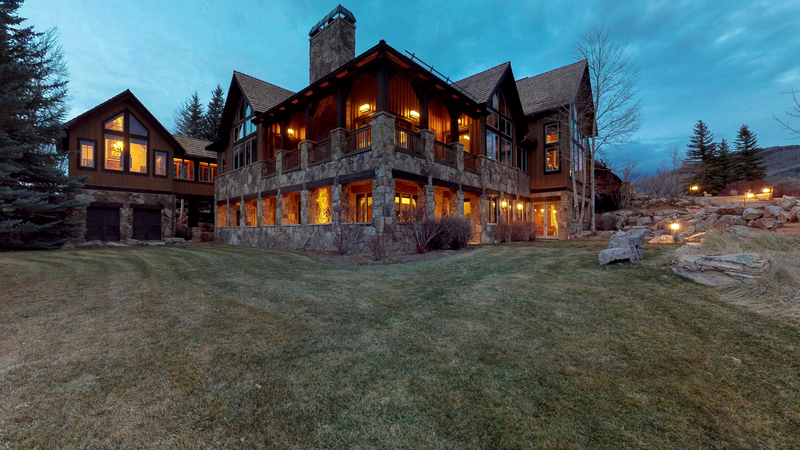 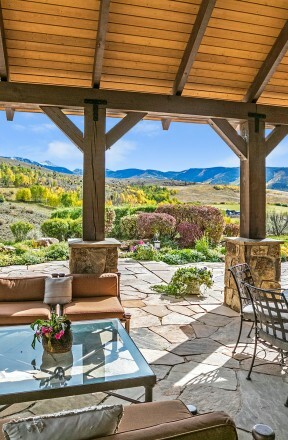 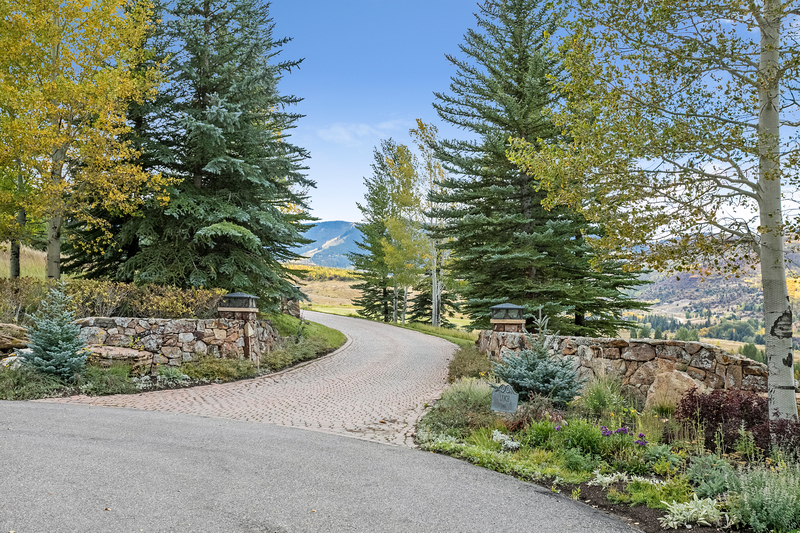 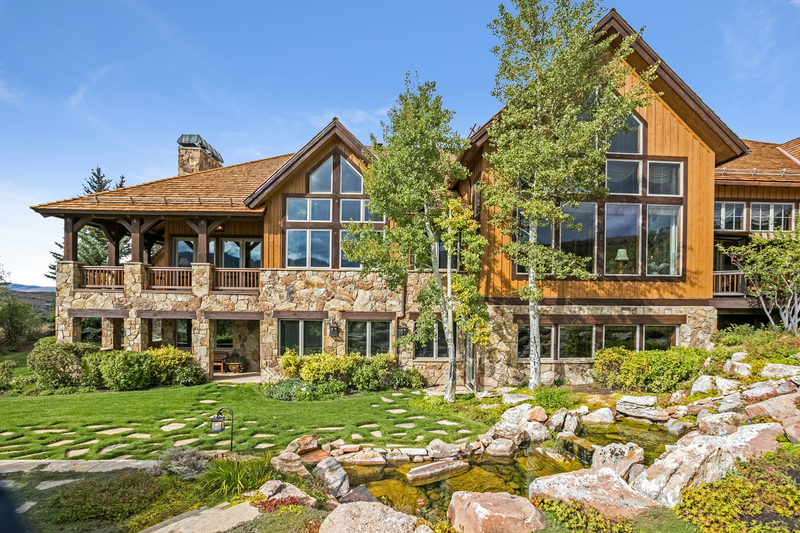 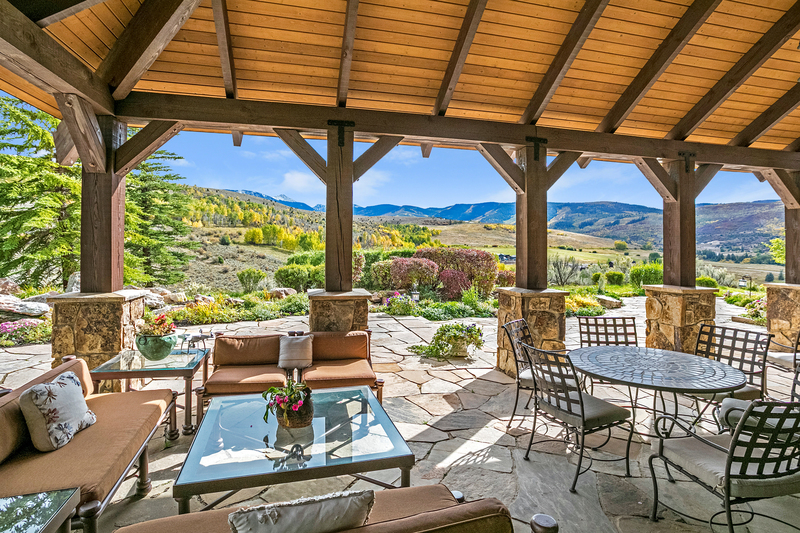 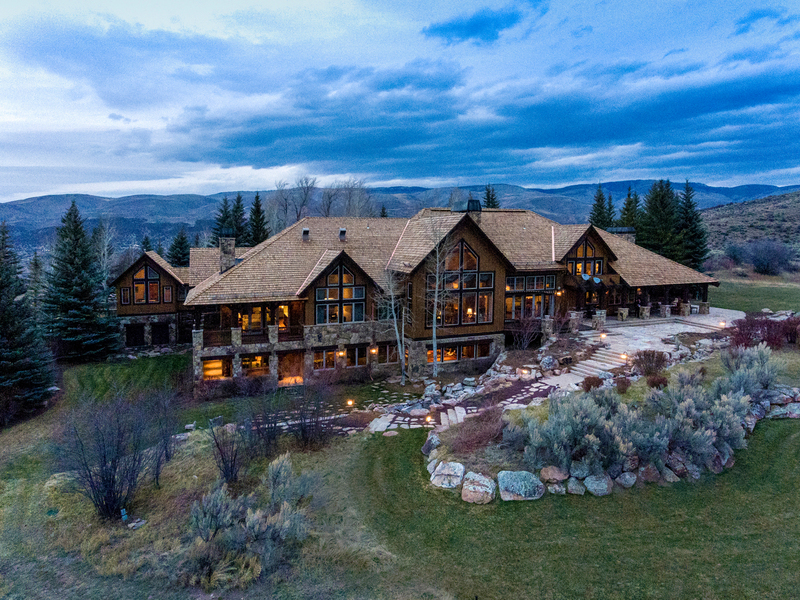 Overlooking the picturesque horse pastures of Lake Creek, 460 Rolling Hills Drive, one of the Vail Valley’s most unique legacy properties, enjoys stunning natural surroundings, unrivaled privacy and close proximity to downtown Edwards and Beaver Creek. 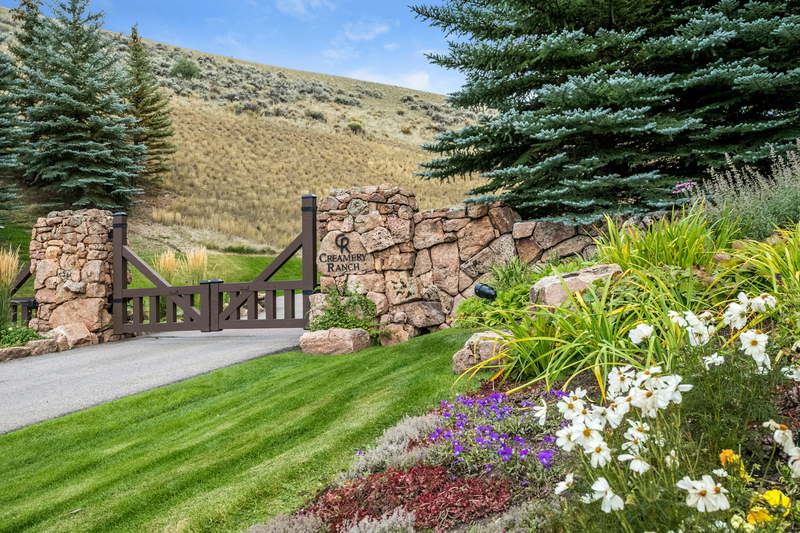 The original and current owners of this 14,677 square-foot mountain estate enjoyed first pick of the home sites within Creamery Ranch, an exclusive gated community in the scenic Lake Creek valley. 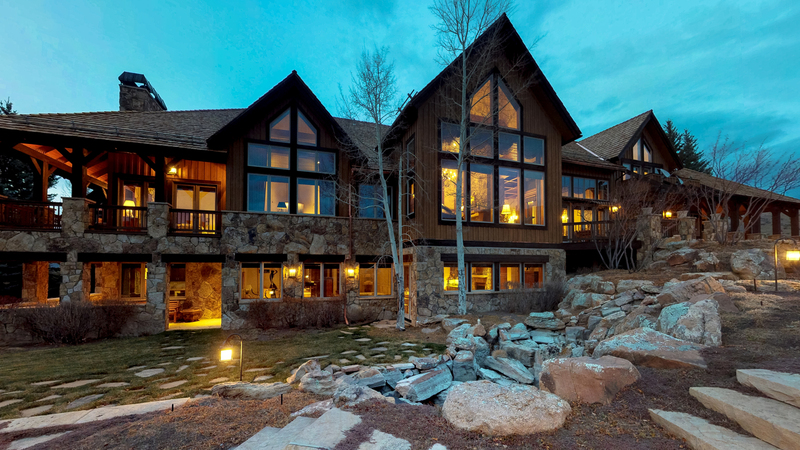 They chose this lot above all others. 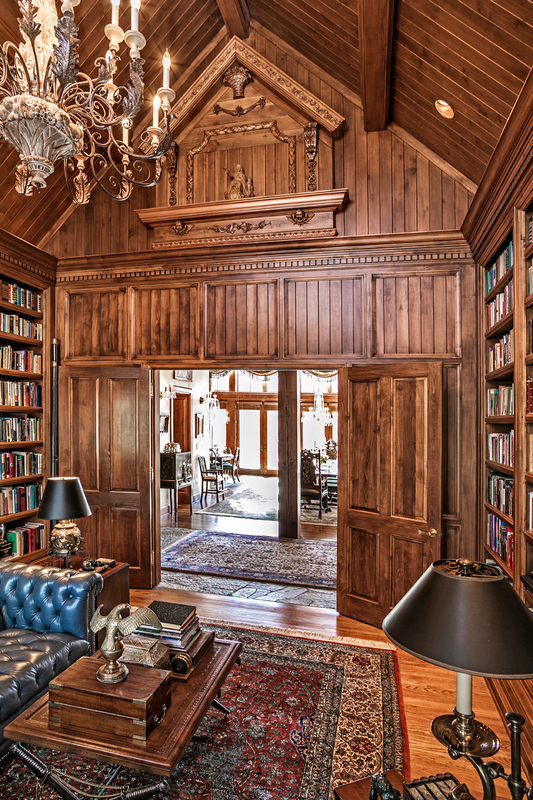 One visit, and you’ll understand why. 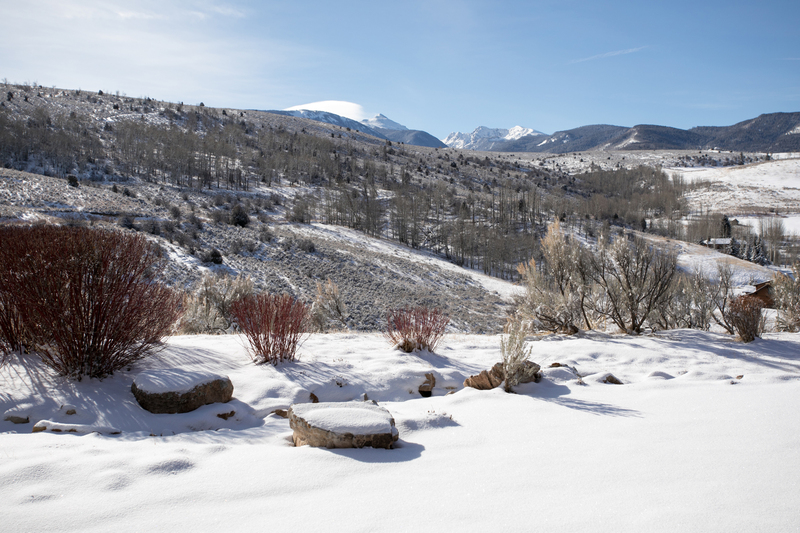 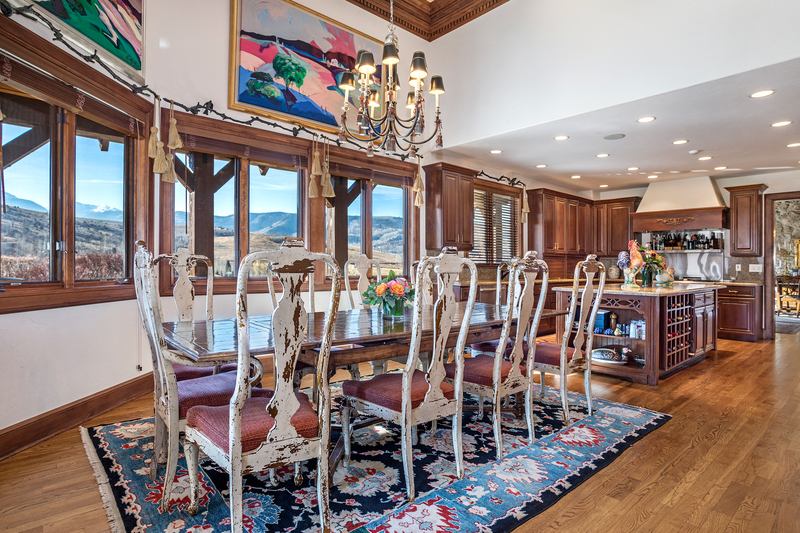 The home sits at the end of a long, cobblestone driveway with expansive south-facing views of the Sawatch mountain range, surrounding aspen groves, valley fields and horse pastures below. 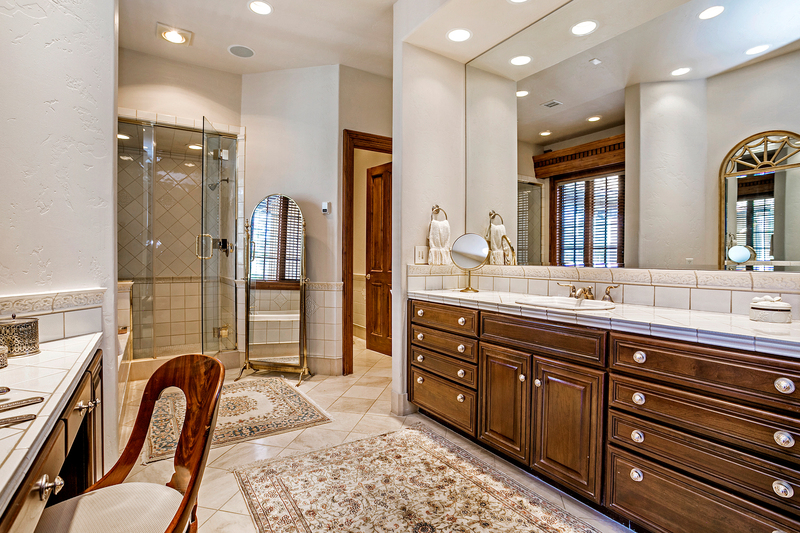 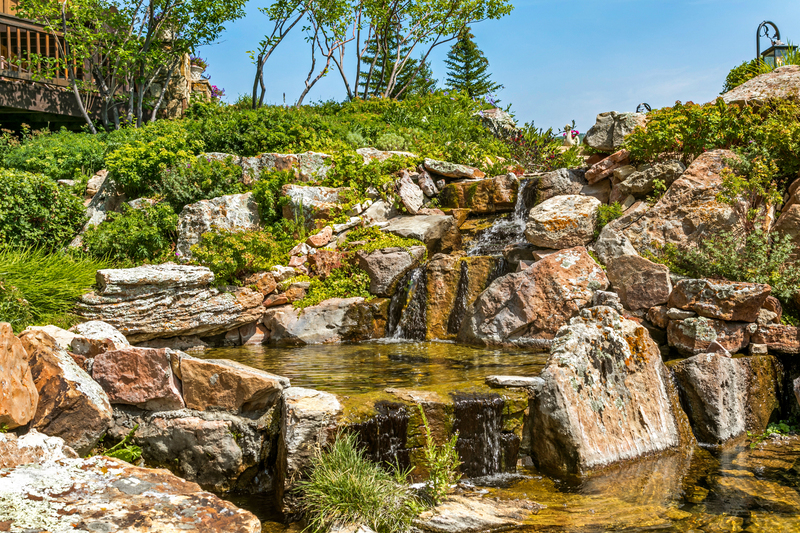 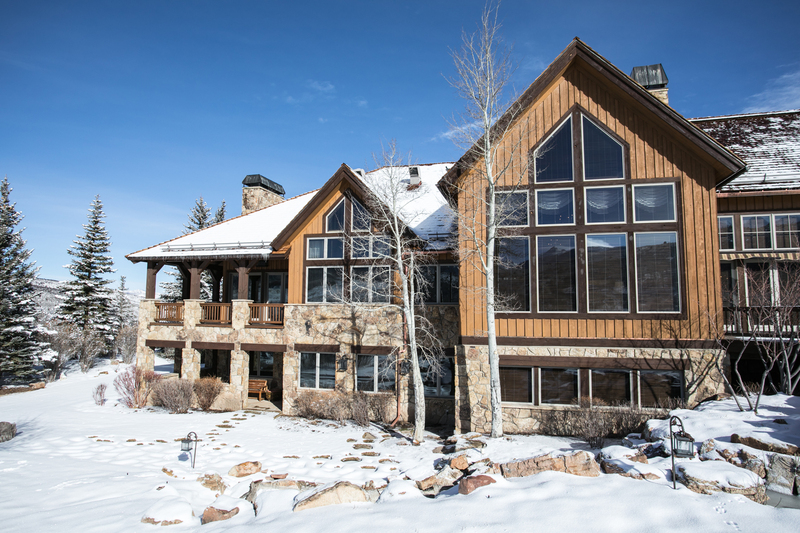 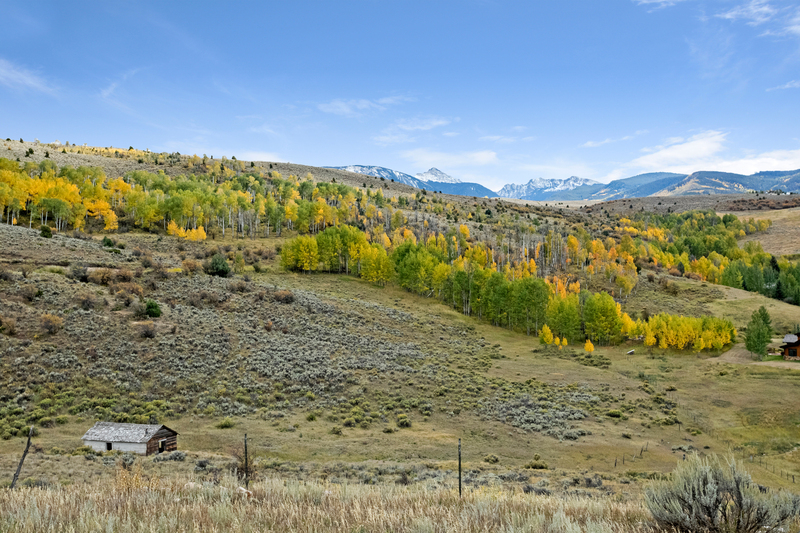 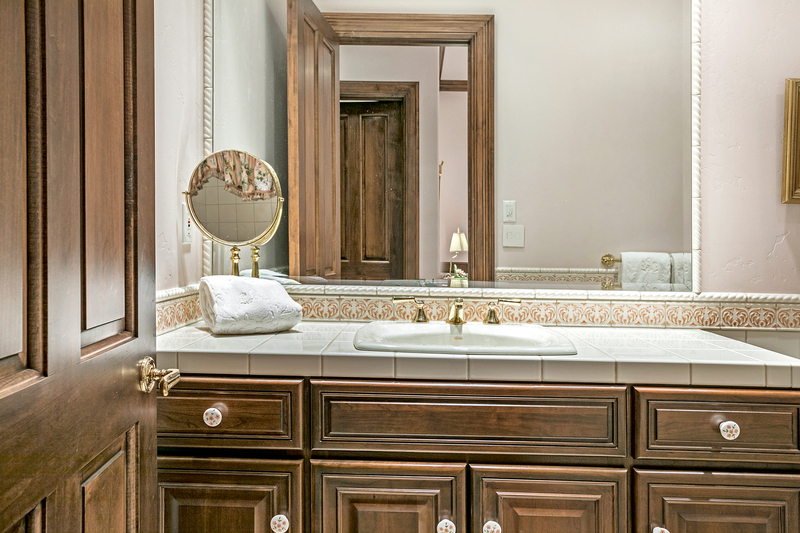 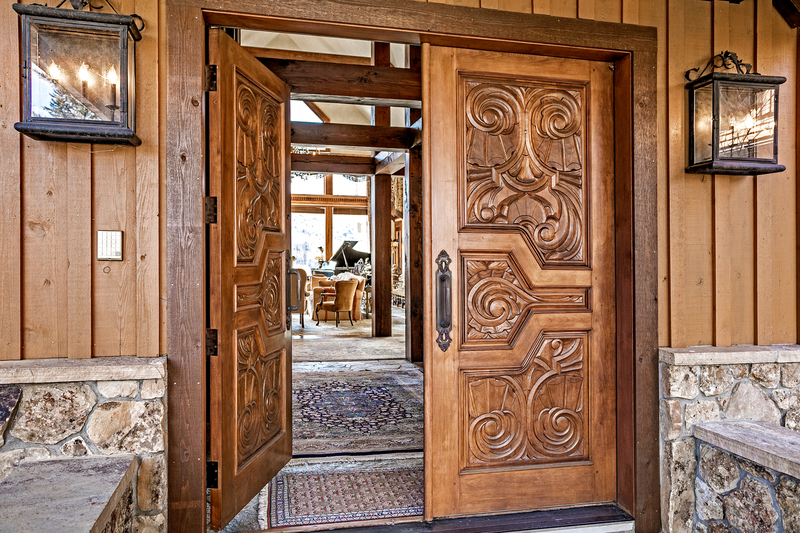 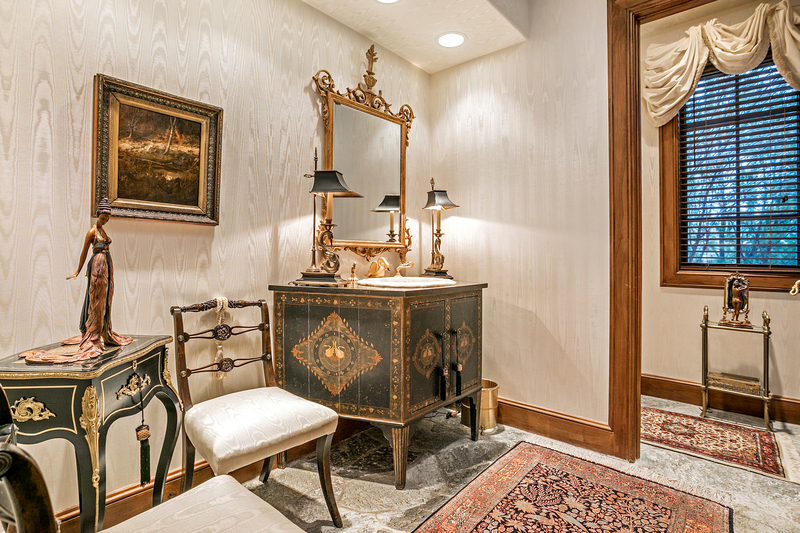 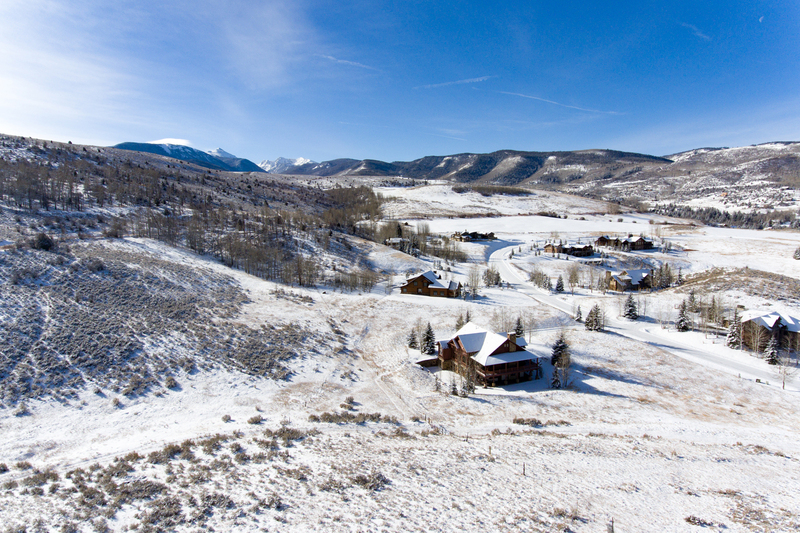 You will not find a more authentic Colorado home site in the Vail Valley. 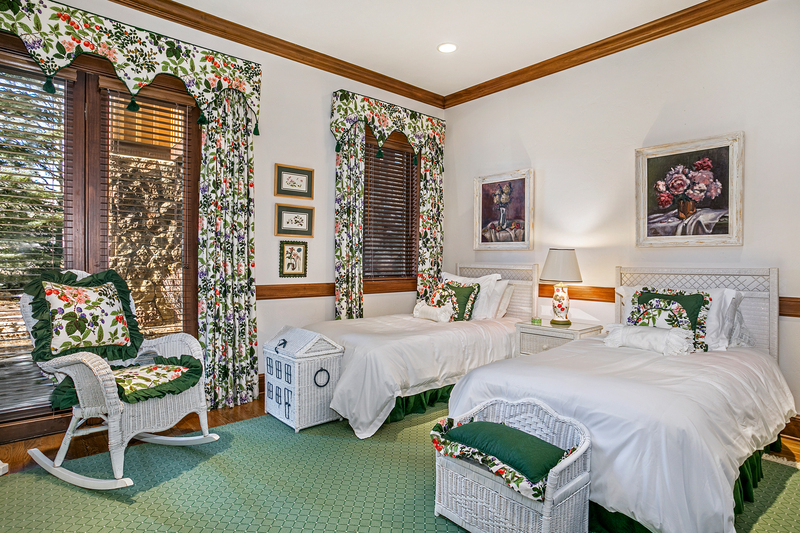 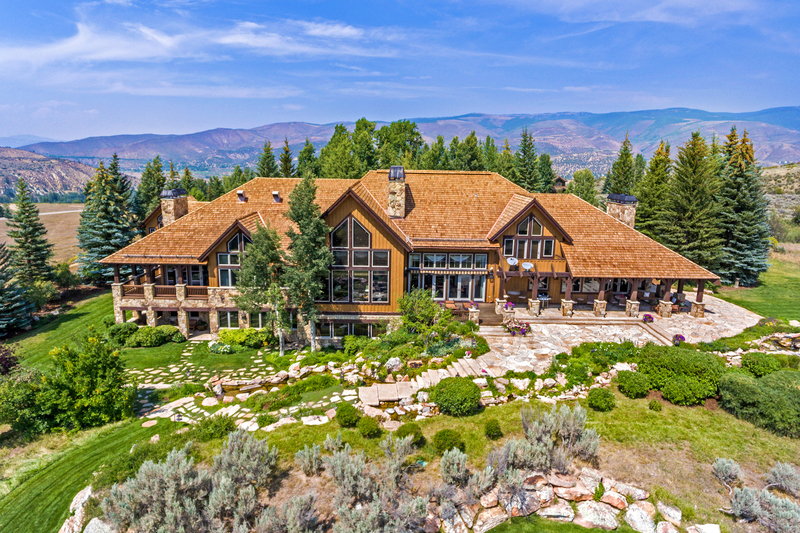 With nine bedrooms and multiple living spaces, this legacy estate boasts enough room to welcome generations of family into the home for the holidays and other memorable gatherings. 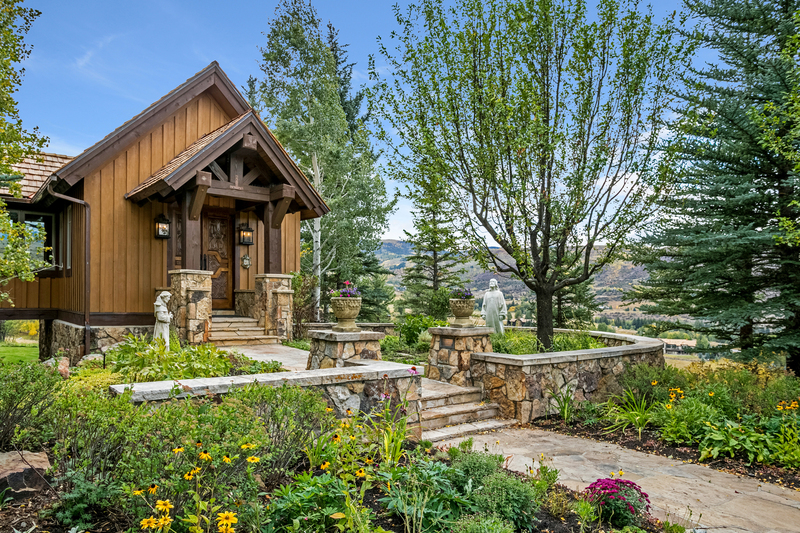 A charming courtyard greets guests at the home’s front entrance. 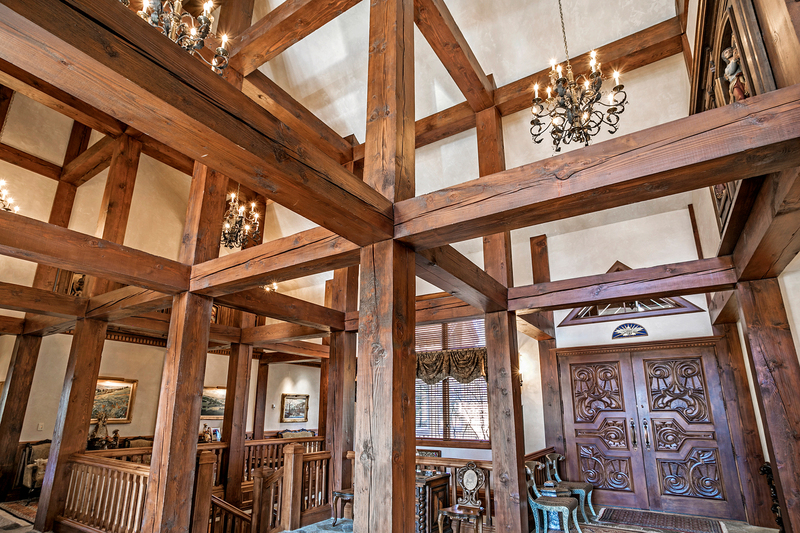 Visitors are immediately drawn into the home with stunning wood timbers that tower to 27 feet. 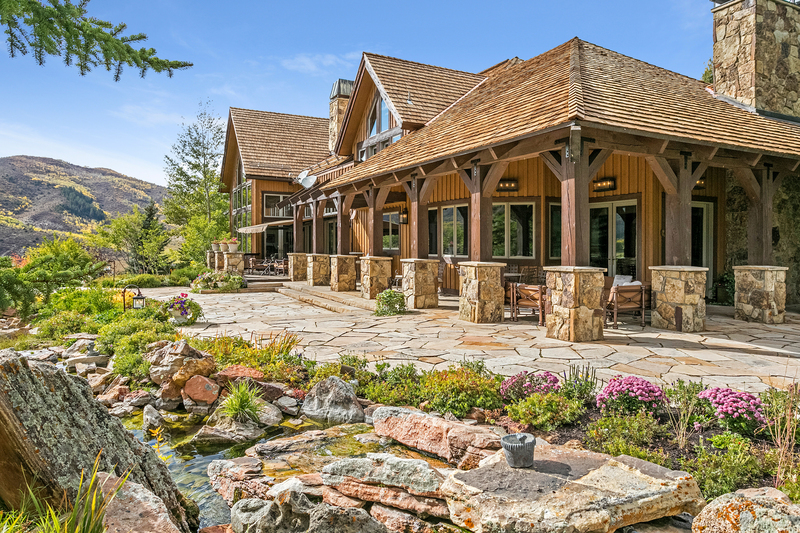 The home incorporates its own unique natural surroundings, from the solid fir timbers, to the indigenous “Creamery Ranch moss rock,” which was extracted from the property itself and now constitutes much of the home’s construction. 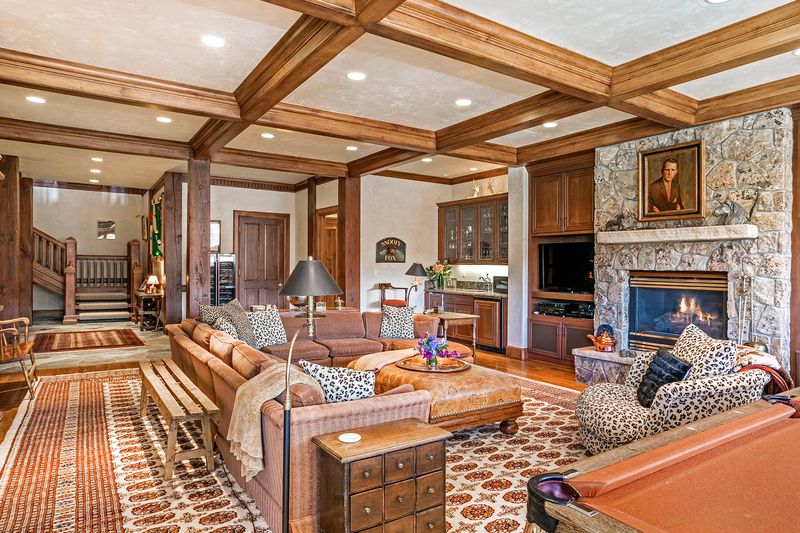 An ornate, coffered ceiling presides over pioneer gold flagstone, as a 91-foot grand hallway serves as the gateway to the main level and runs nearly the length of the home, from the master suite to the kitchen. 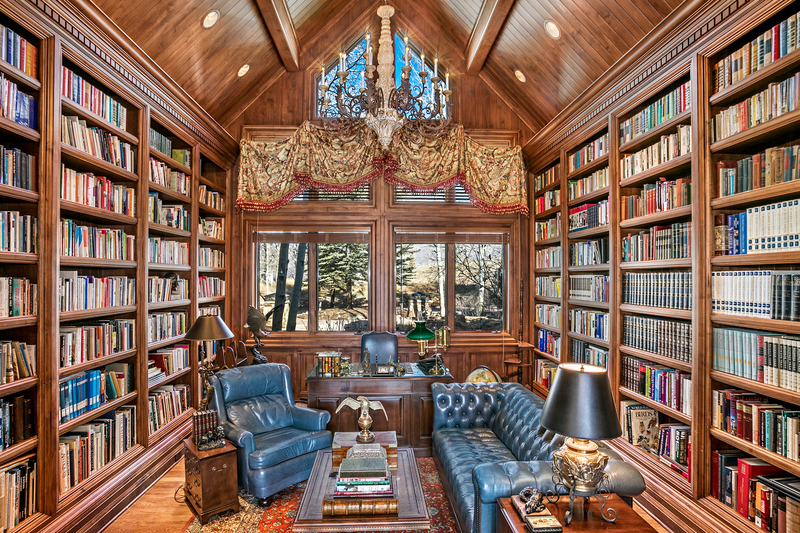 A dignified study is on display with vaulted wood ceilings and custom shelves capable of showcasing an elaborate library and a lifetime of achievement. 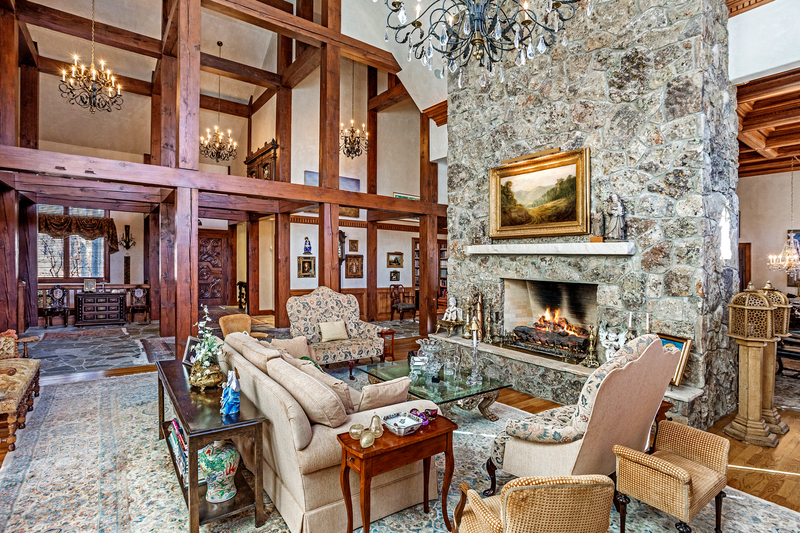 The adjacent great room and formal dining room flank the mighty stone fireplace and serve as a traditional living space, well suited for family and friends. 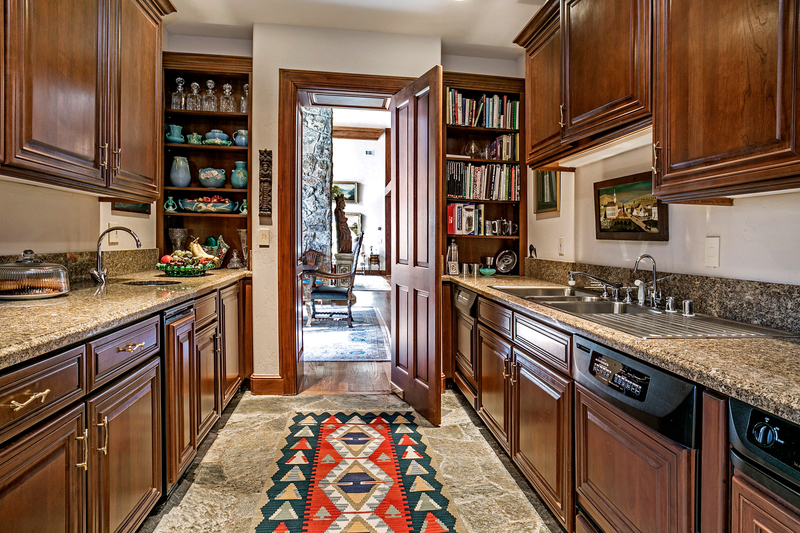 The kitchen area is a living space unto itself. 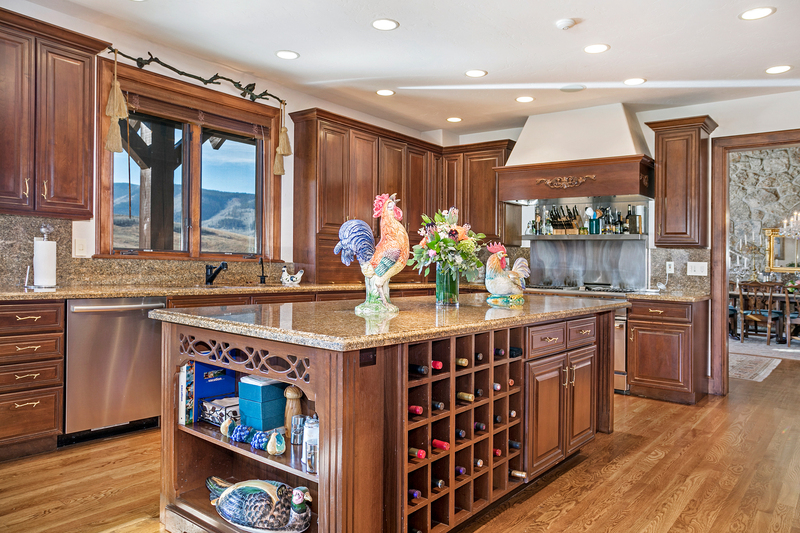 With custom wood cabinetry, solid granite slab countertops and direct views of the Sawatch Mountains, the kitchen boasts exquisite finishes and stainless-steel appliances, namely a six-burner Thermador range. 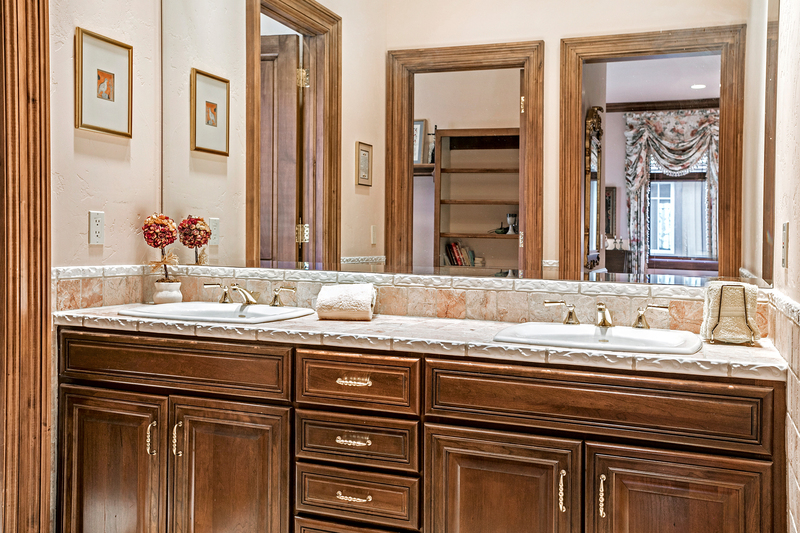 An adjoining butler’s kitchen ensures privacy and minimizes disruption to the kitchen if so desired. 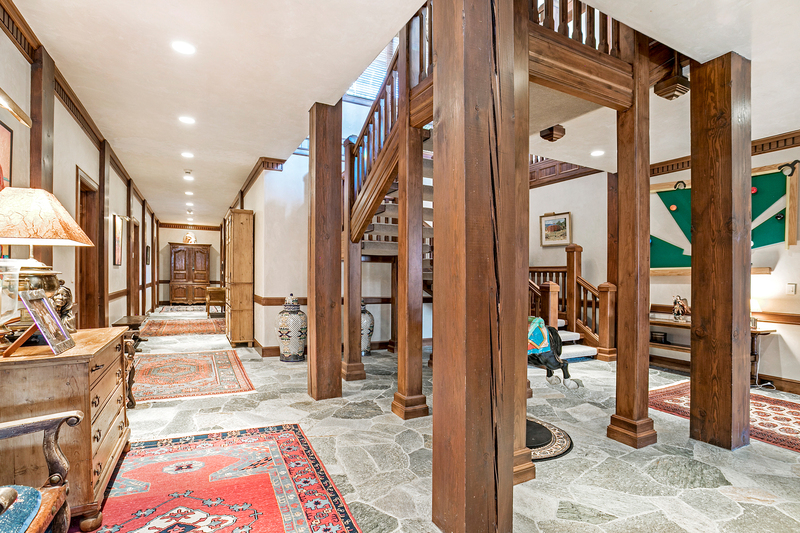 Immediately adjacent is a more casual dining area and a cozy hearth room, perfect for lounging, watching TV or playing games as family, all in close proximity to everyone’s favorite room in the house: the kitchen. 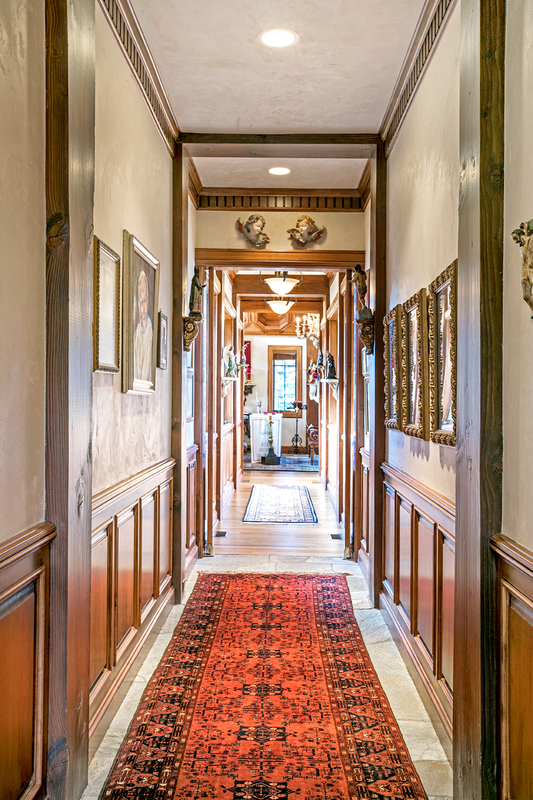 Connecting the home is the stately hallway that has been decorated to entertain large holiday dinners, even a presidential candidate event. 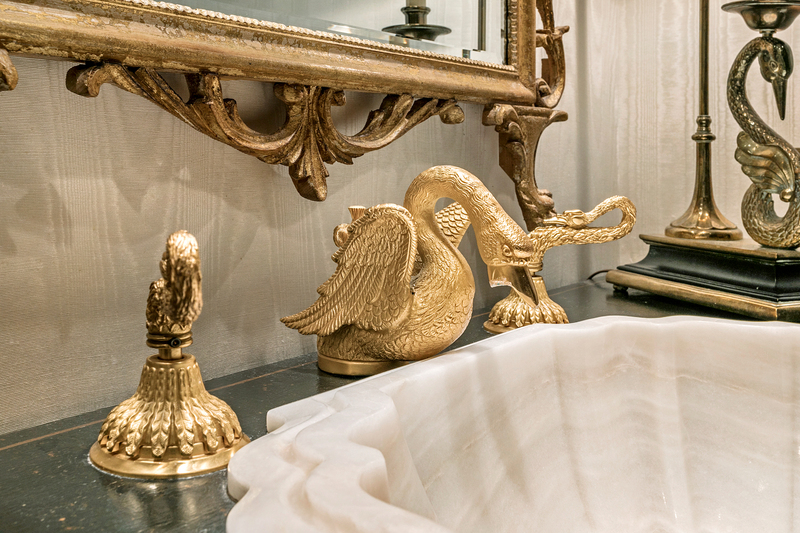 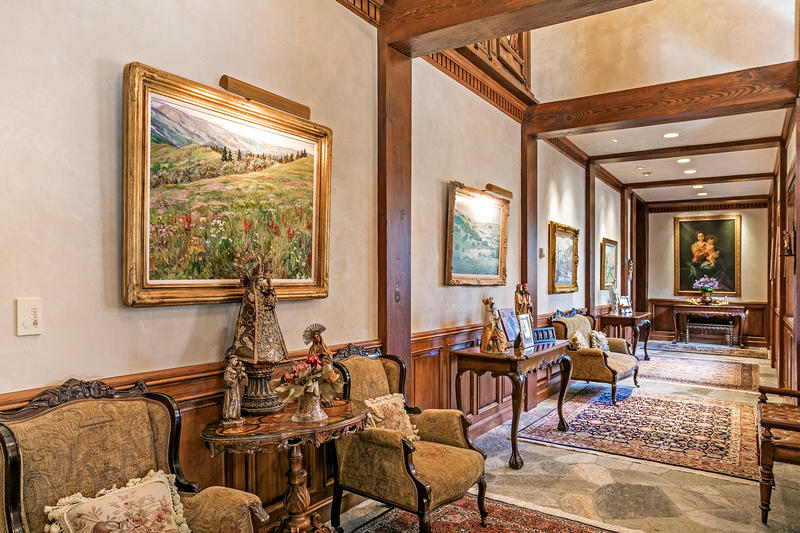 These art collected walls lead to the master wing with two individual bedrooms joined by a private living room that features a moss stone fireplace, a second personal study, two elaborate master bathrooms and a two-story walk-in closet. 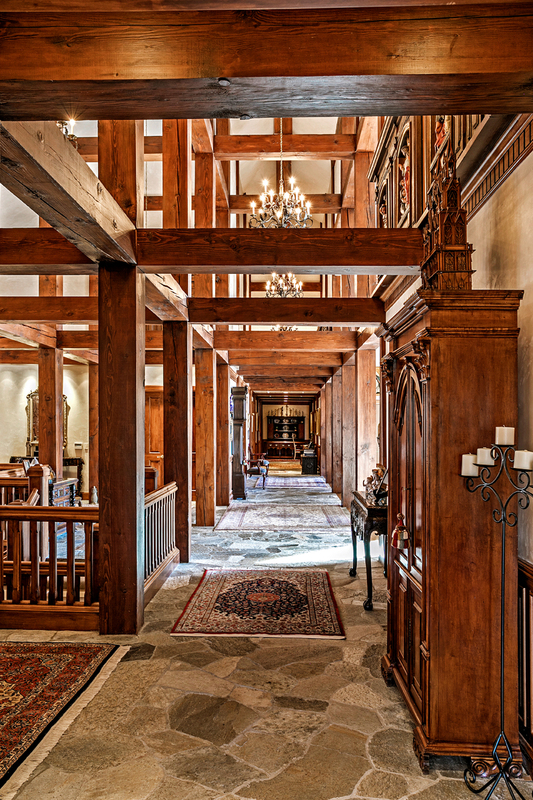 The grand hallway continues even further to a single guest suite and then into one of the home’s more unique features: the on-site chapel, which is connected to the home, but exists almost as a separate structure with it’s own entry. 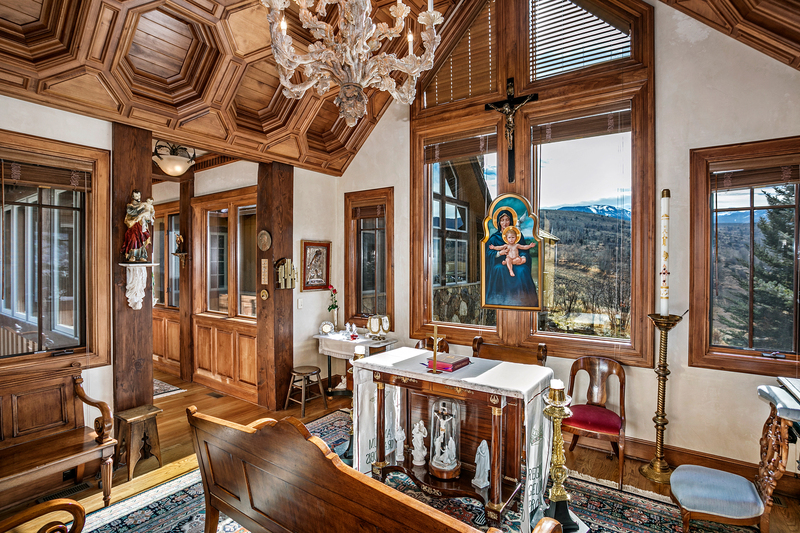 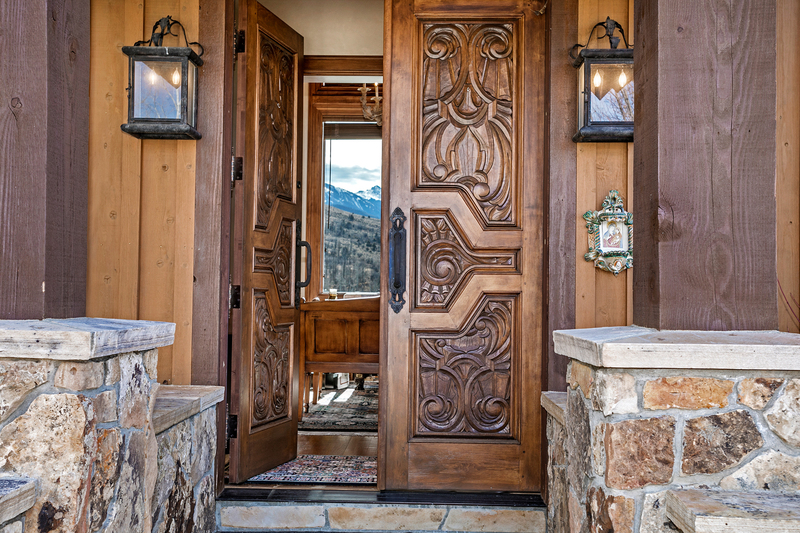 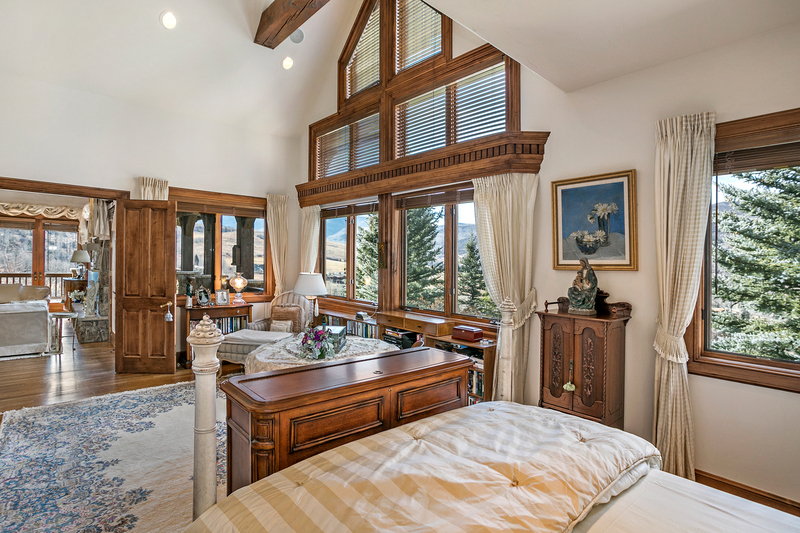 The chapel features uncompromised views of snow-capped mountains and ornate custom woodwork. 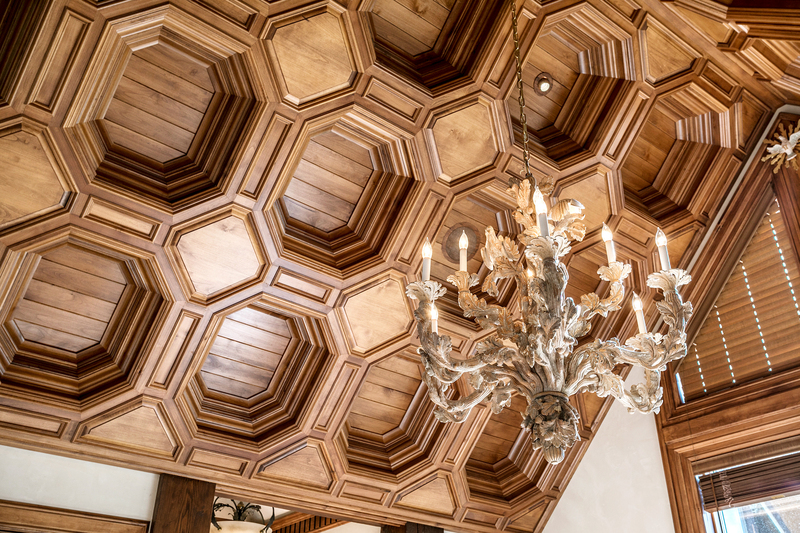 If so desired, the chapel could be converted to fulfill a number of functions, but privacy and stunning craftsmanship will remain characteristics of this very special feature. 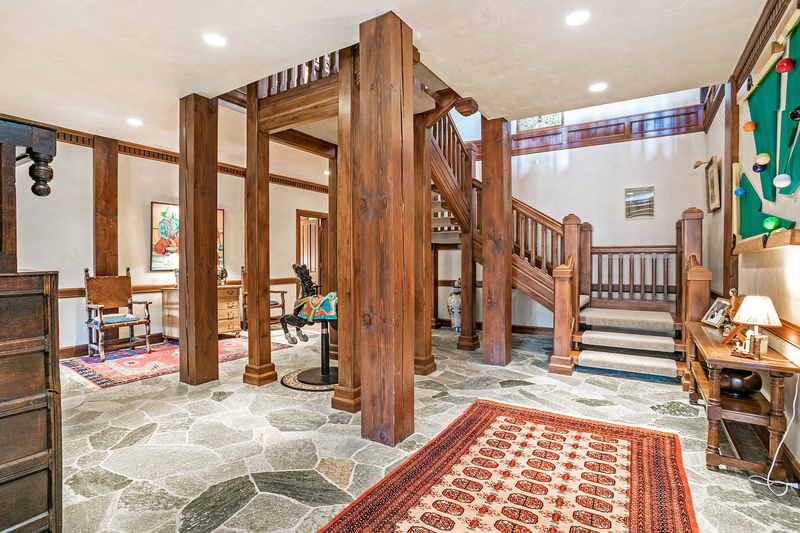 From the home’s center, an open-tread, floating staircase leads to the lower level, which is designed to accommodate large families. 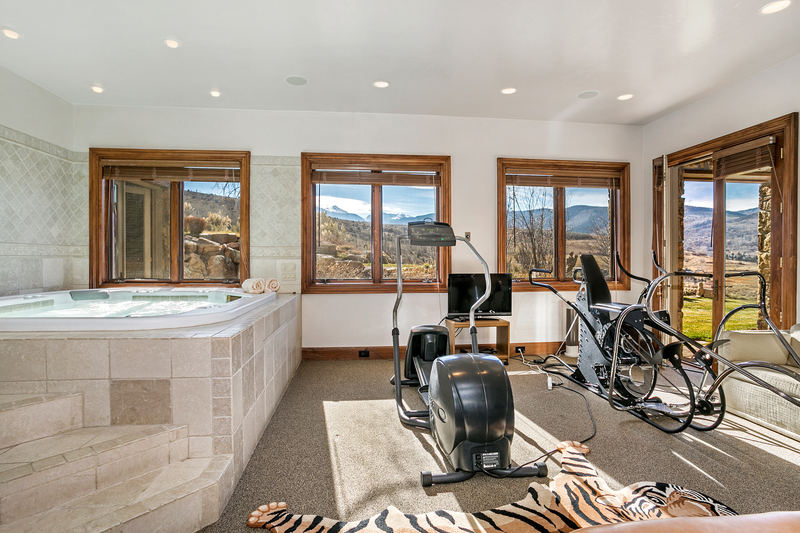 Four bedrooms all with en suite bathrooms and direct outdoor access line a deep hallway that extends from a huge exercise/spa room featuring an indoor hot tub. 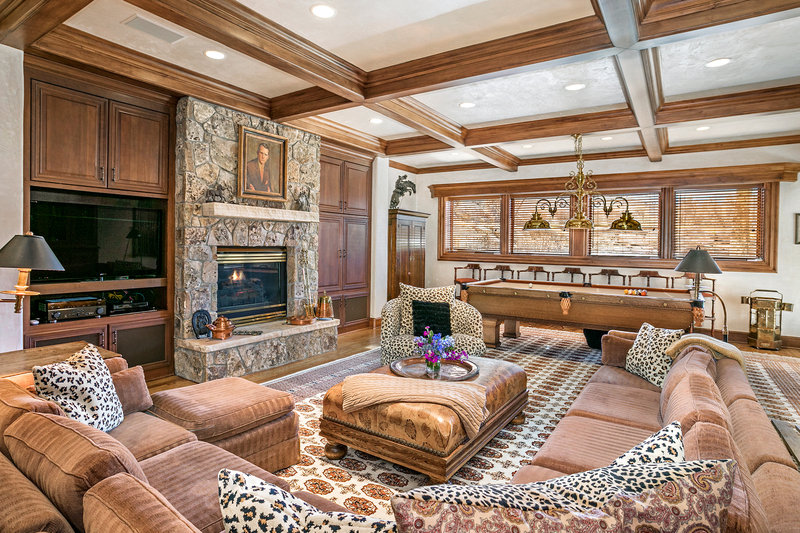 The lower level also features a secondary living space — a massive, more casual den perfect for watching the game and hosting parties. 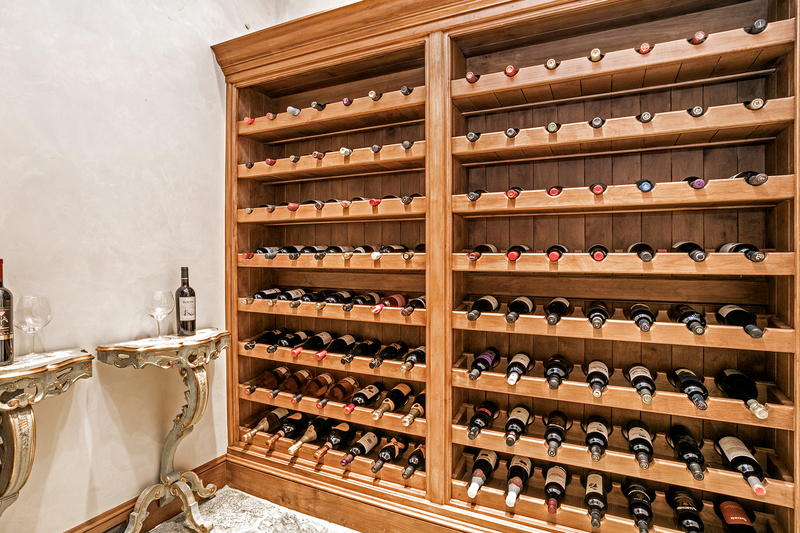 The room can easily accommodate a full-sized billiards table and also includes a wet bar and wine cellar in close proximity. 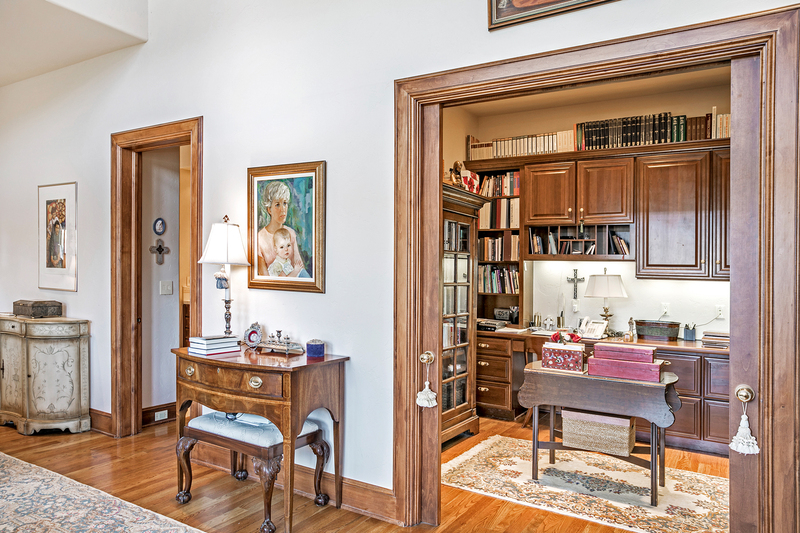 Back on the east end of the home is a three-car garage with an isolated two-bedroom apartment above. 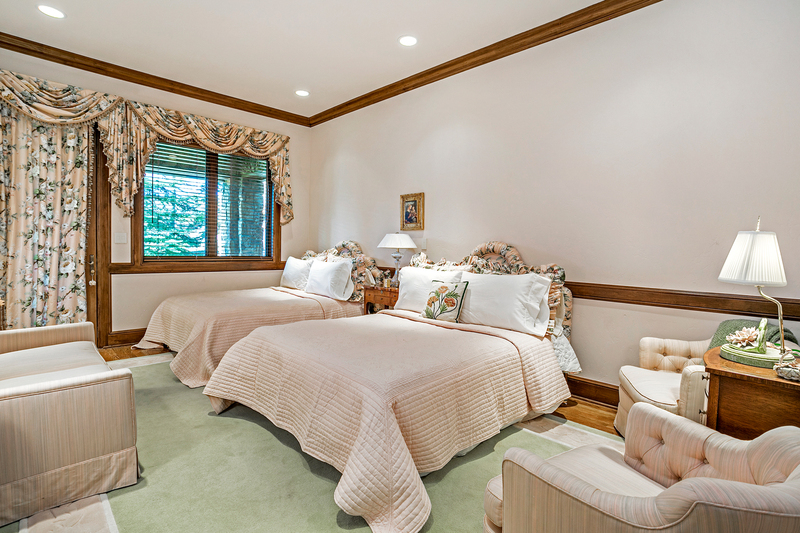 With a full kitchen and private living room, the second-story apartment is well suited for family members who want additional privacy or perhaps a live-in caretaker. 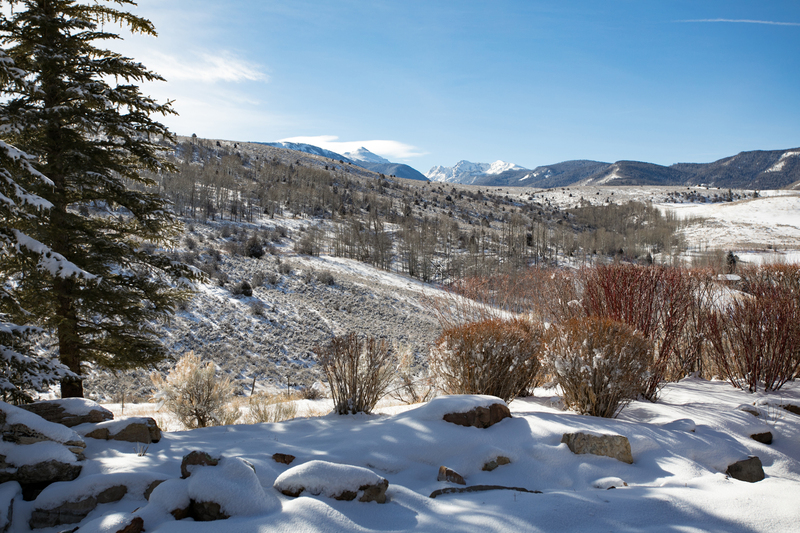 In either case, anyone who is lucky enough to call the apartment home will be stunned by the dramatic views found here. 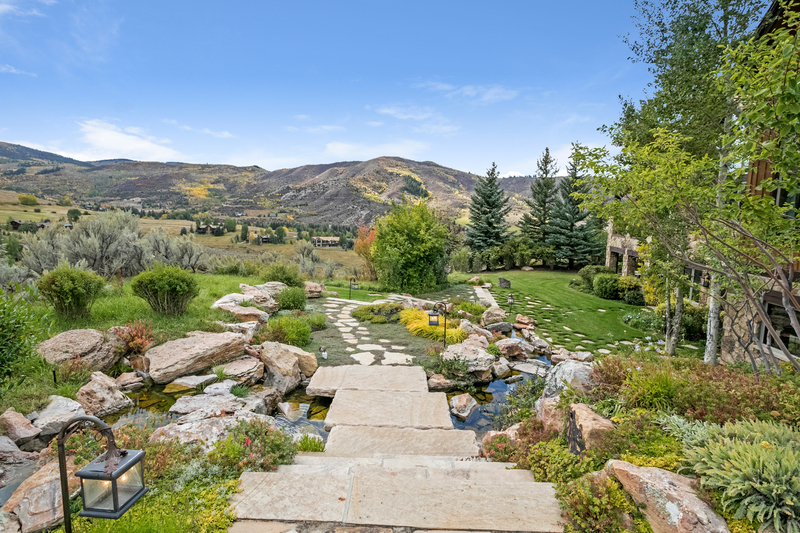 But perhaps the property’s most impressive amenities are found outside its walls among the expansive outdoor living space that runs the length of the home. 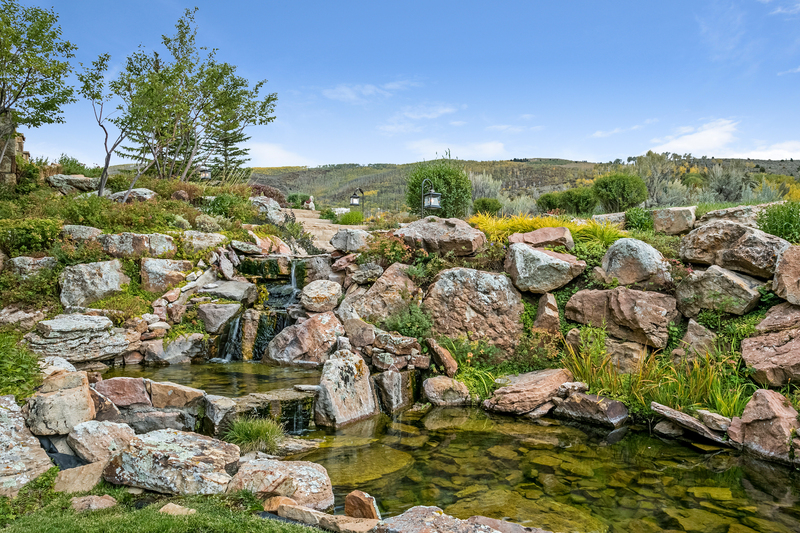 Several patios align a custom-built water feature that flows throughout the south-facing, elevated backside of the home. 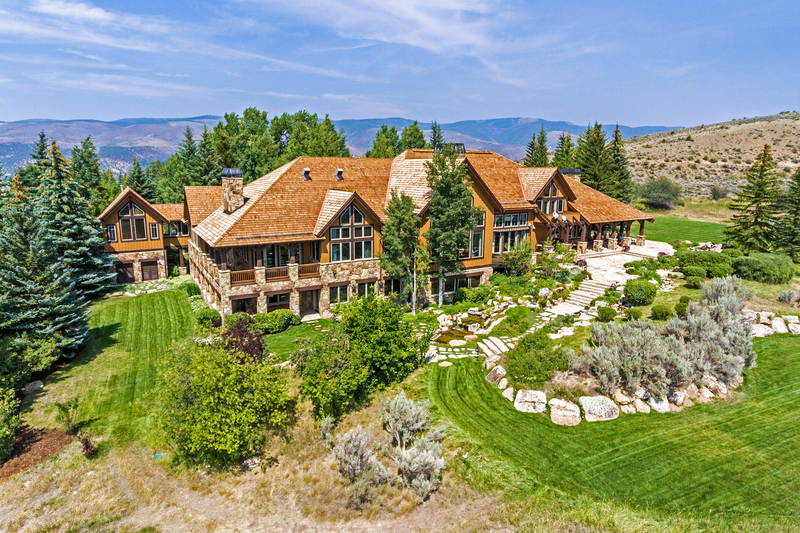 A sprawling grassy area is well suited for any number of activities, tented affairs or could be upgraded to accommodate a pool. 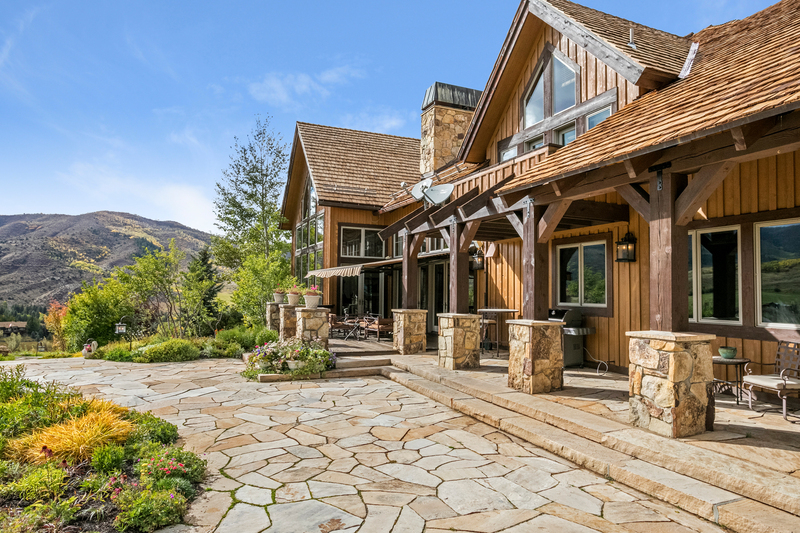 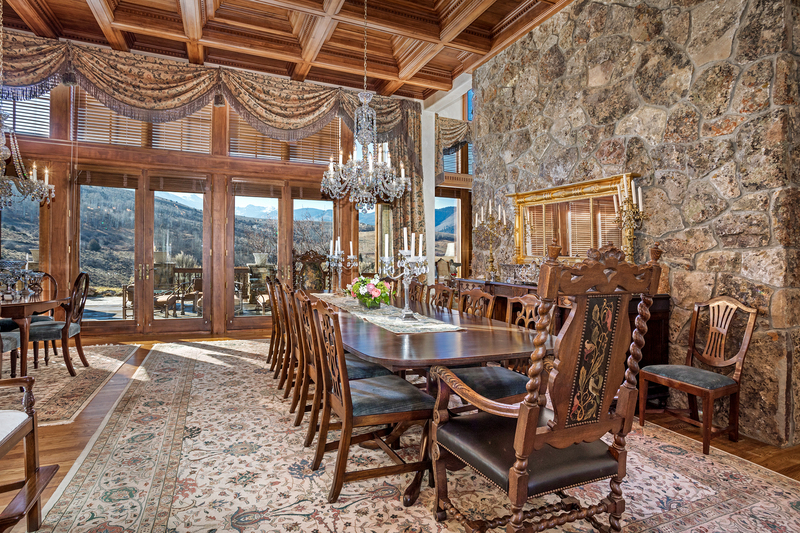 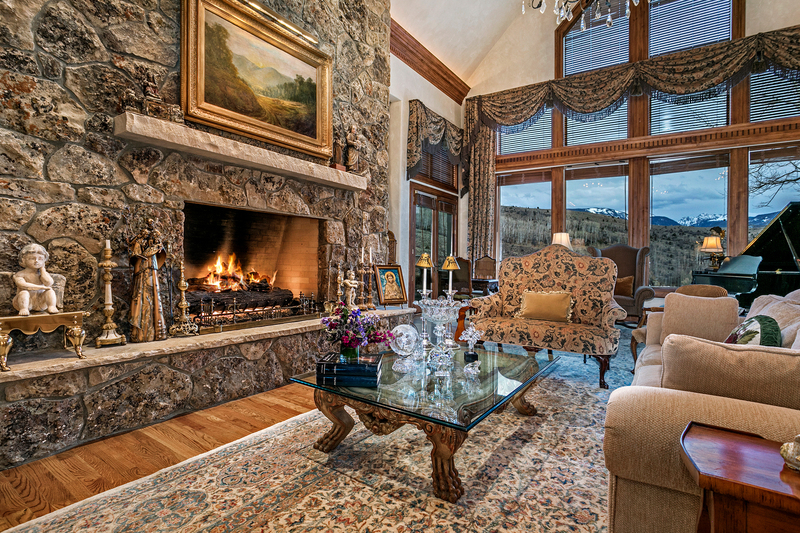 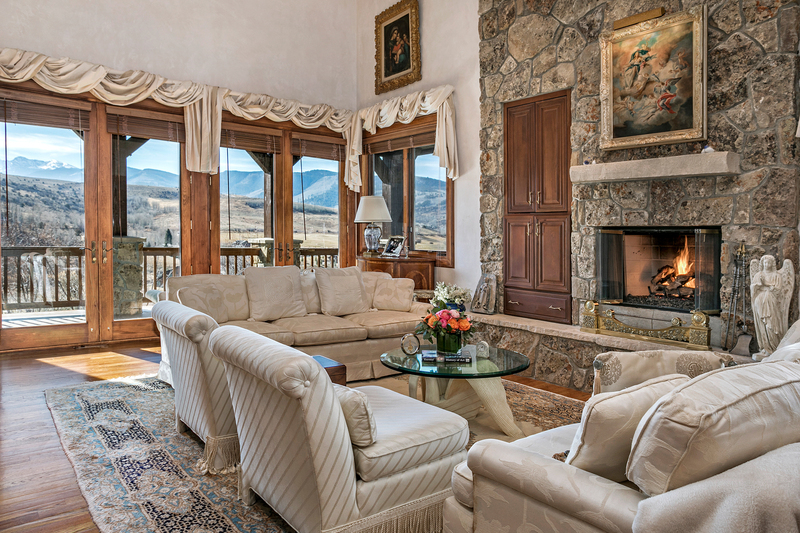 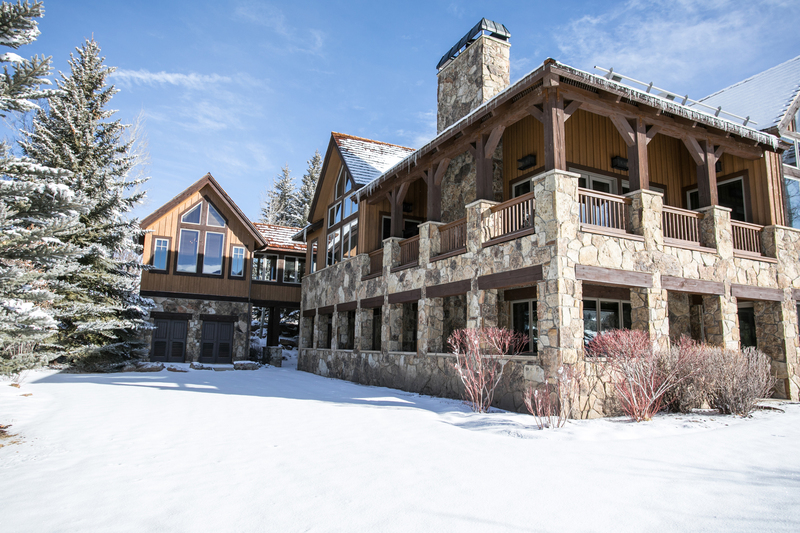 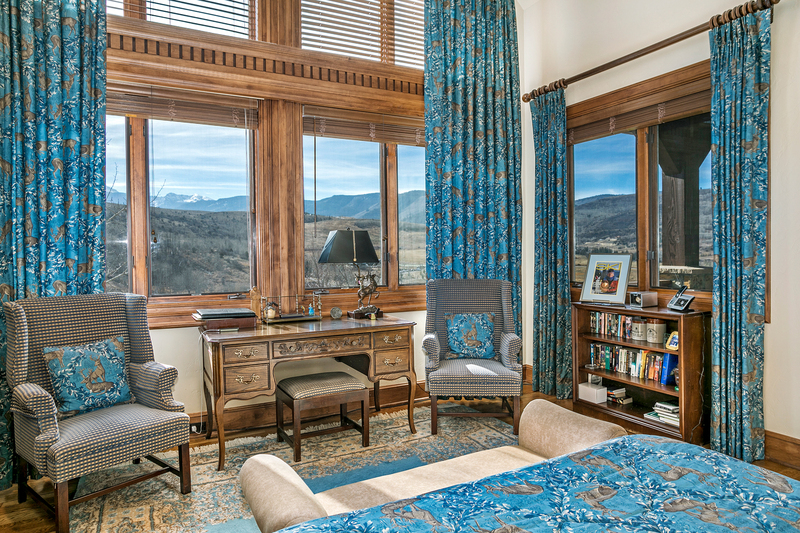 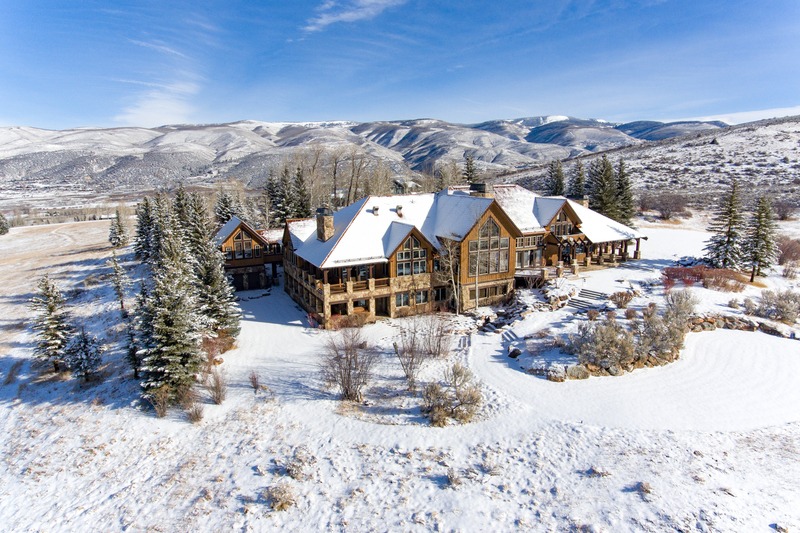 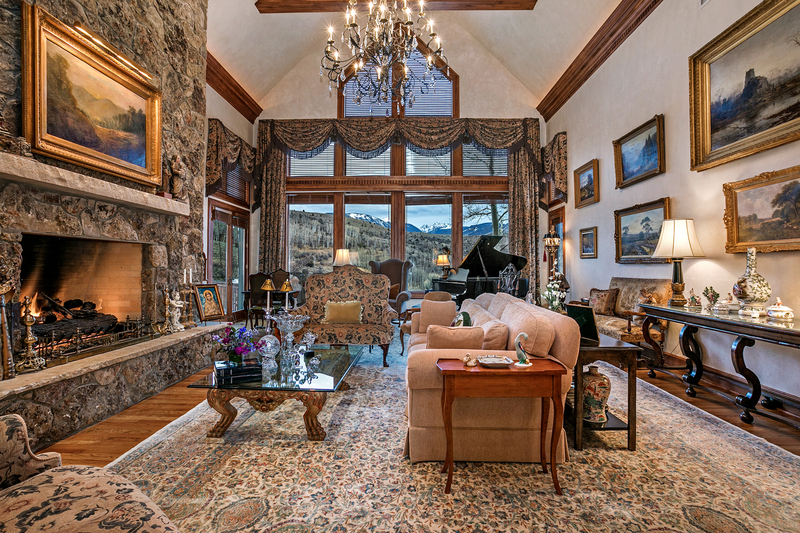 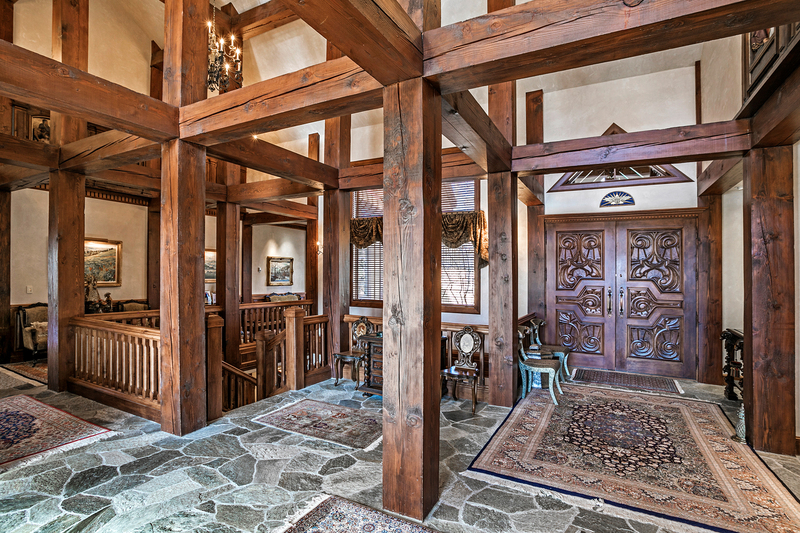 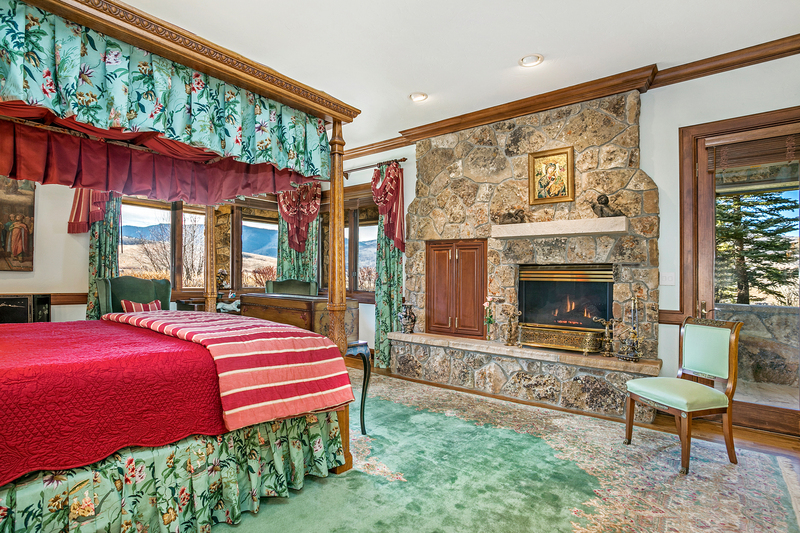 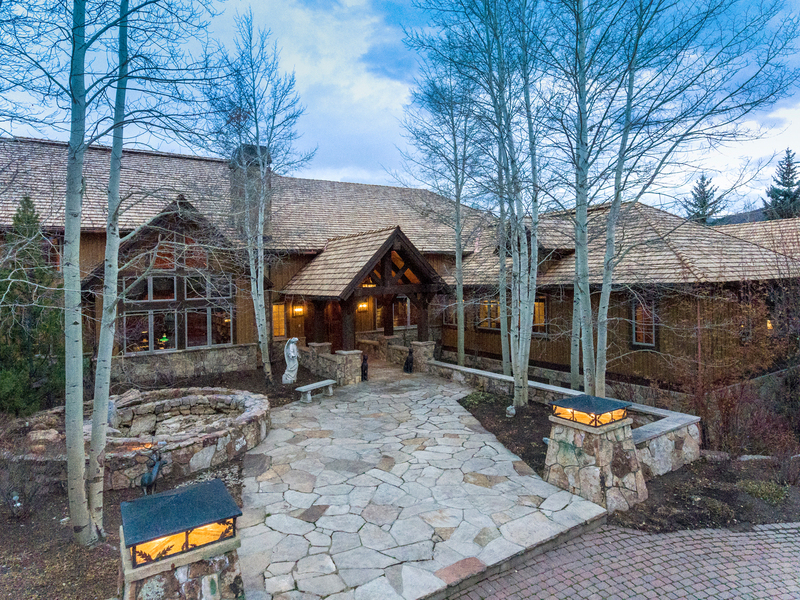 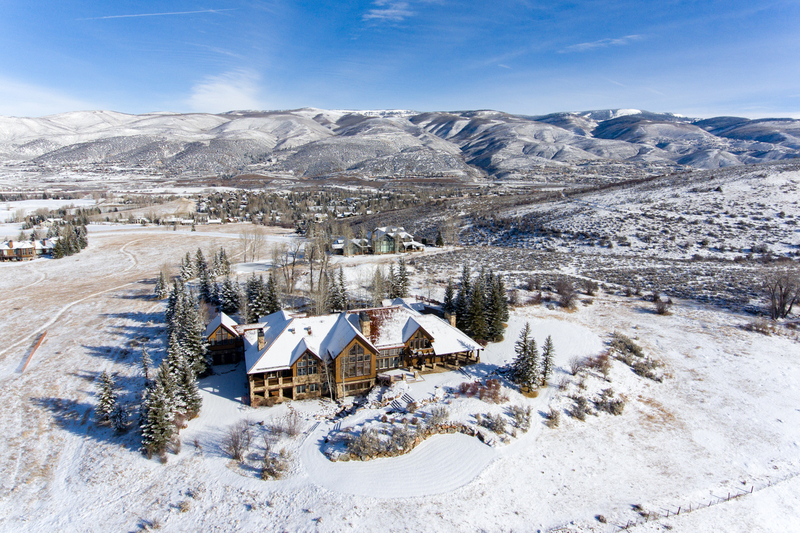 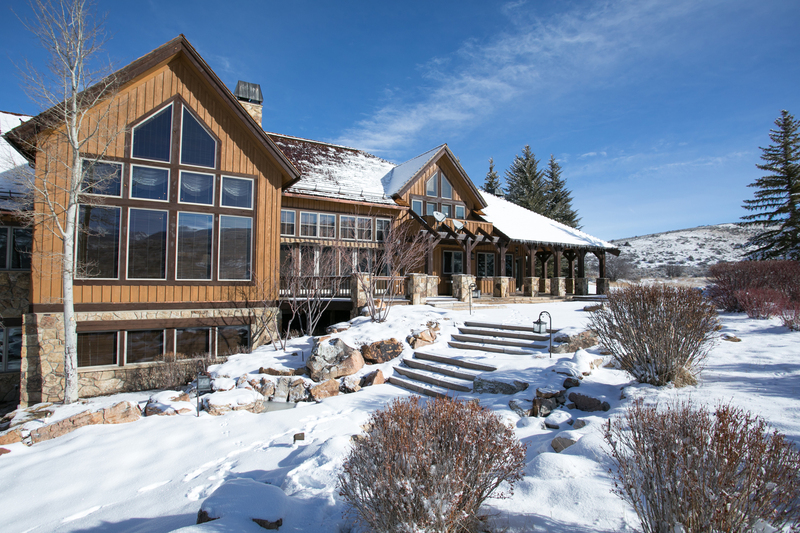 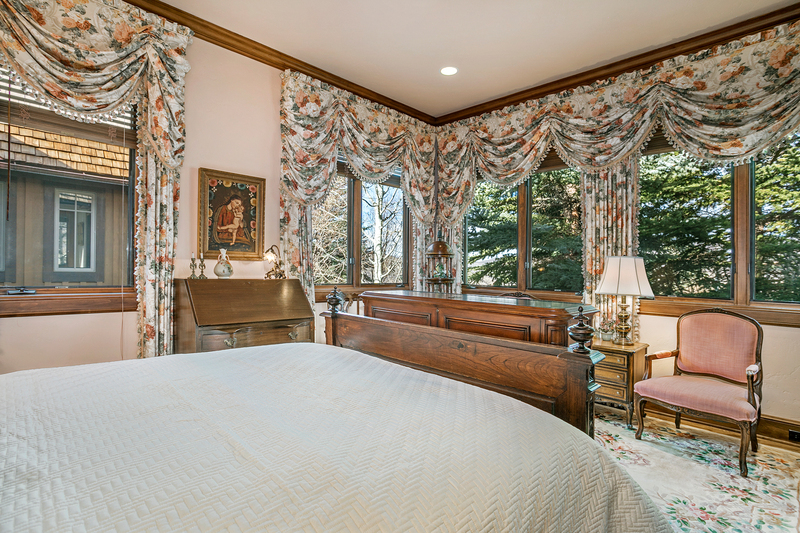 With unrivaled natural mountain surroundings, 460 Rolling Hills Drive is an astounding, once-in-a-lifetime opportunity to own a timeless legacy property in one of the Vail Valley’s most desired locations.